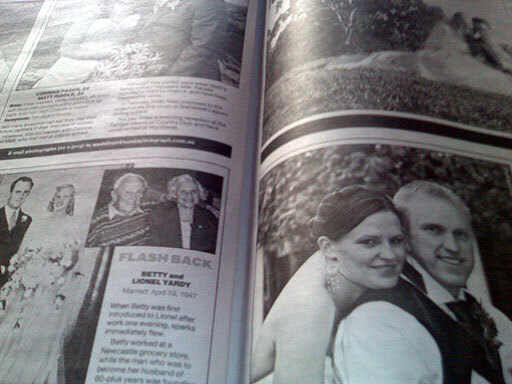 About the only good thing worth reading in the Sunday papers, these days, is the wedding profiles. I had completely forgotten it was Valentine’s Day until someone mentioned it at work. I’ve been really busy the last few days preparing for something major at work today. All in all, the preparation turned out to be worth it. But somehow in the last few days I lost track of time. That’s my excuse for why I didn’t spend Valentine’s Day out and about at a restaurant gazing lovingly into someone’s eyes. Instead, I’ve just woken up after two or three hours collapsed on the couch. Although I didn’t work physically all that hard today, I guess I did expend a lot of emotional energy throughout the day. Thus, by the time I got home I just hopped on the couch and collapsed. My selection of A-Pac, the new public affairs channel on Foxtel probably helped me fall asleep. Or maybe it was the glass of wine I had. When I woke up a few minutes ago, Malcolm Turnbull was still on the television. “You’ve missed Valentine’s Day”, I thought to myself when I woke suddenly from the couch.